Intricate vines and leaves interlace to form this signature ring. 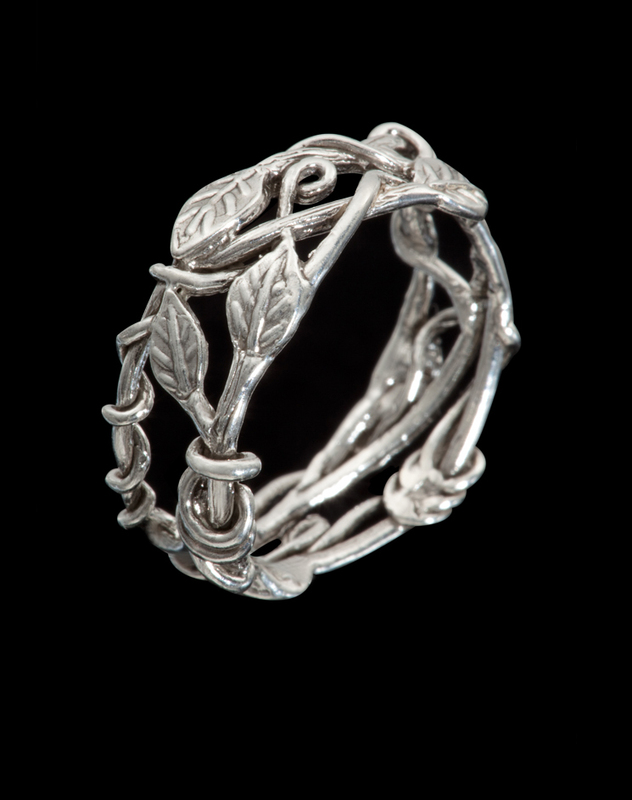 Vine rings are available in various sizes, and each size is a unique design. This size is slightly heavier and emphasizes texture, and would pair well with the vine and branch bracelet.